Spring is almost here! Can you feel it? I definitely can here in Arizona. 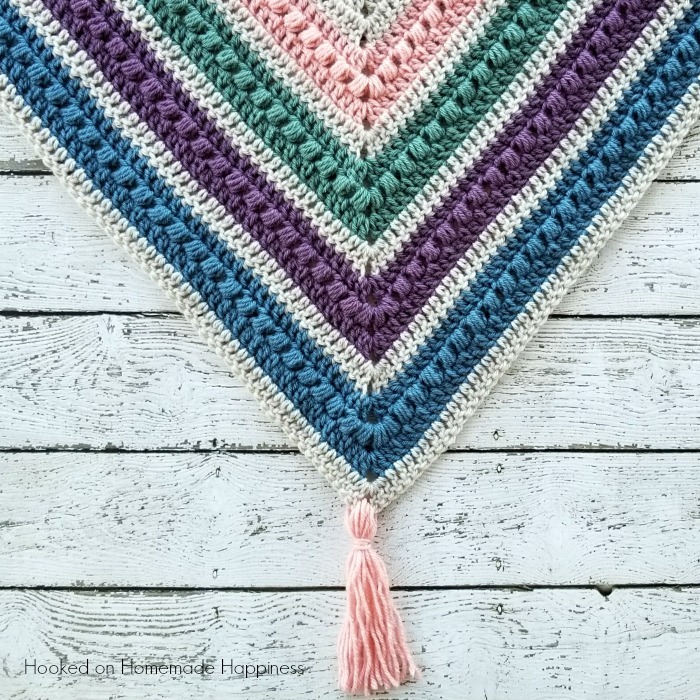 I was inspired by our gorgeous weather and pretty pastels to make this Spring Shawl Crochet Pattern. It can be worn over the shoulders like a shawl, or wrapped up like a triangle scarf. 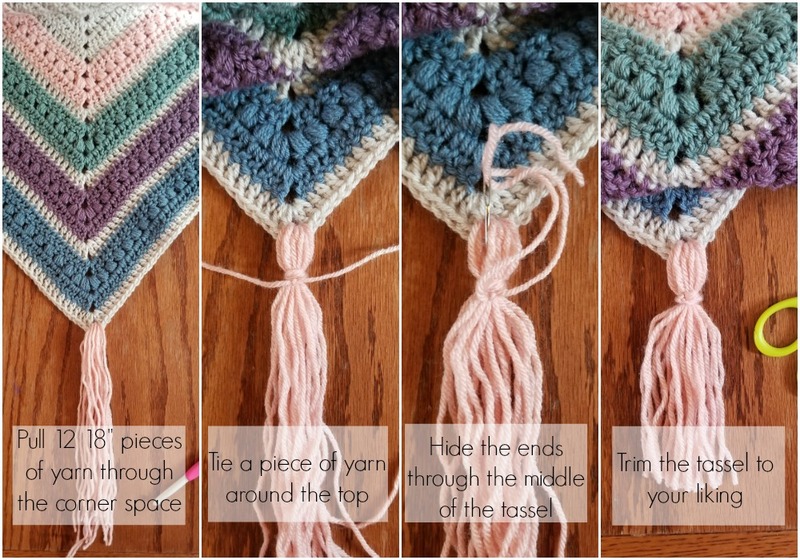 I love all the options with triangle shawls! We didn’t have much of a winter, so it’s been unseasonably warm (and beautiful!). I’m trying to soak it up as best I can until the dreaded summer hits us. 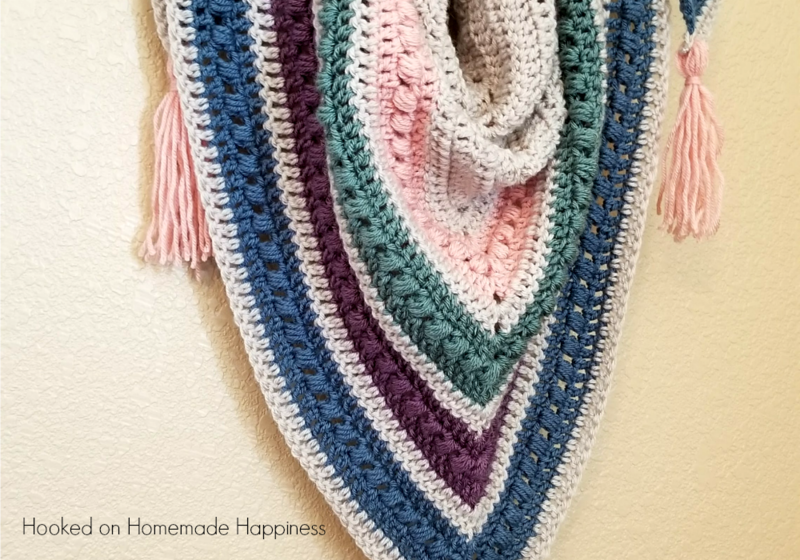 The mornings and evenings are still cold so I can still cozy up with this pretty shawl. 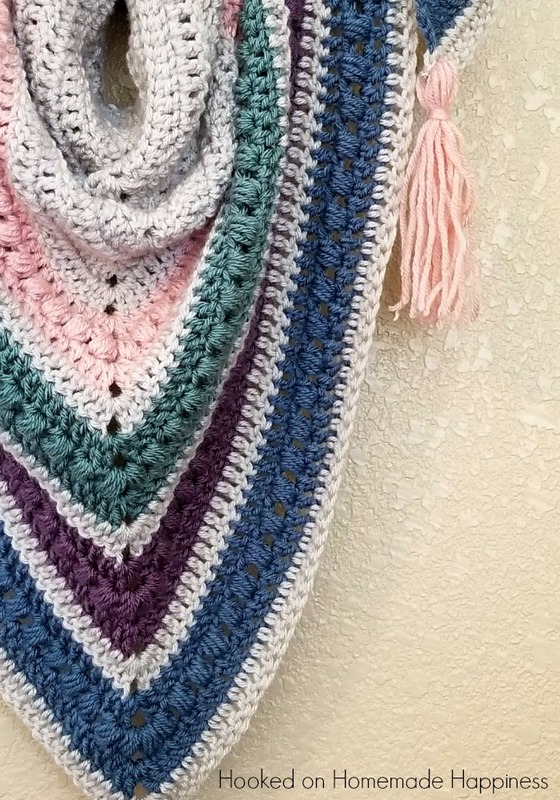 This shawl could be made with cotton yarn for a lighter feel. As long as it’s a worsted weight, it should work up the same! The tassels are a fun addition! They are totally optional, or fringe could be added all the way around. 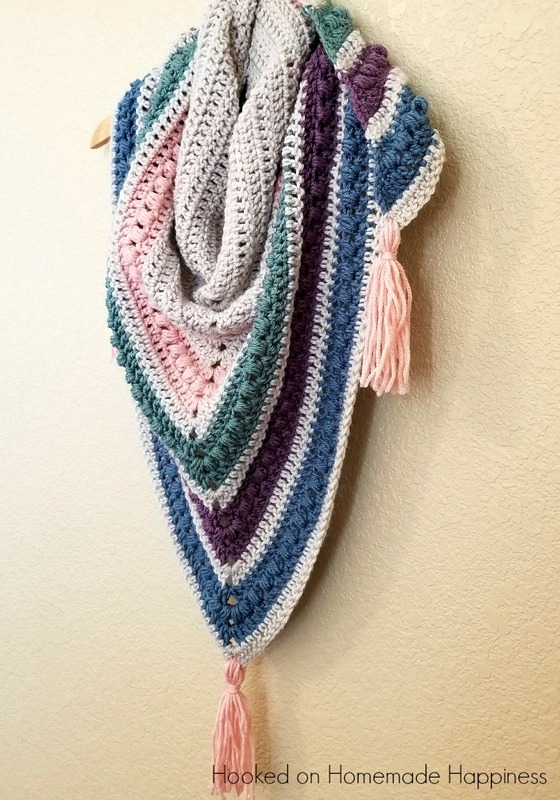 OPTIONAL: Add tassels to each corner. 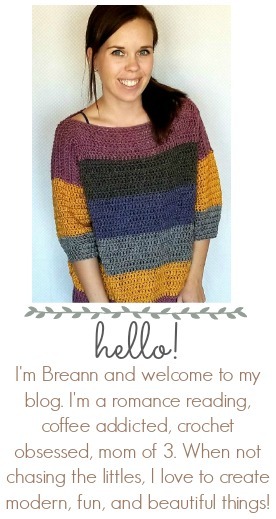 can you do this with knitting? I just want to say a big thank you! I really like your patterns. This one looks AMAZING, definitely gonna make it. Just one question, and it might be a stupid one, but at the beginning you write that one need “Lion Brand Vanna’s Choice in Linen” – does linen refer to yarn? I would think its speaking of color “linen”. I’m really eager to try this, but I’m confused by the instructions. We join the initial 4 stitches with a slip stitch to make a ring, but the next row doesn’t join together? 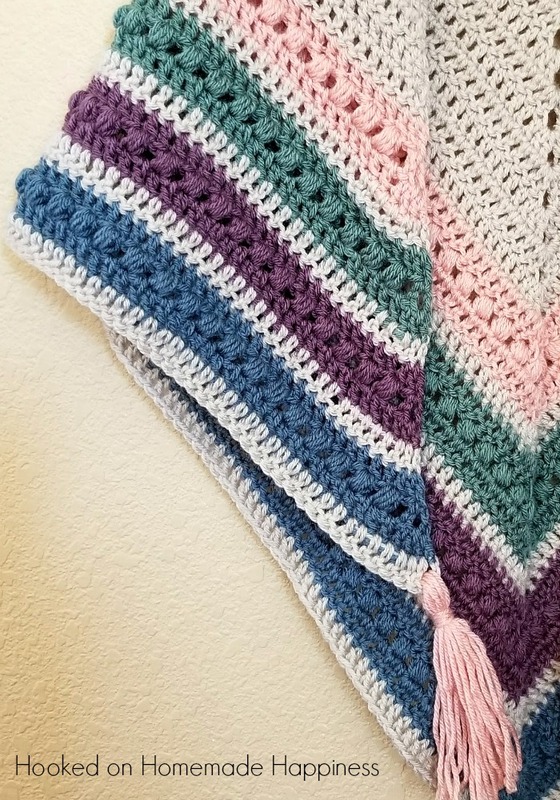 We crochet back and forth in rows with the initial ring as a base? Hi! Yes the shawl is worked in turned rows. Only the first row is worked into the ring.